The University of Wisconsin-Madison in collaboration with Johns Hopkins University, Oregon Health & Science University, and Yale University started a health website designed to “let people better understand the diseases and conditions they’re facing,” according to the Milwaukee Journal Sentinel. The first module was focused on depression in young people. 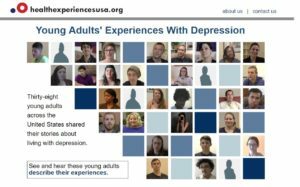 Thirty-eight Americans, ages 18 to 29, were interviewed about their condition. Their answers comprise about 375 audio recordings, video, and text. 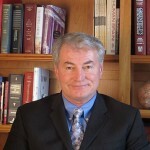 The website is modeled after a website started in the United Kingdom by a physician at Oxford University, http://healthtalk.org/. This website has thousands of patients who share their experiences with more than 85 diseases or medical procedures. The person who started it had breast cancer. She could find plenty of information on the disease and treatments, but couldn’t find the stories of what it was like to live with the disease. The United Kingdom website had two million visitors from the United States last year. When I did a google search of “depression,” it led me to the National Institute of Mental Health page, which included the definition of depression, signs and symptoms, risk factors, and treatment and therapies. It led me to news articles about recent studies on depression, but I could not find patient stories in first page results. The search “depression in young people” also led me to purely informational results. The webpage being started by the University of Wisconsin-Madison has the potential to add to the dialogue around depression, incorporating first-hand accounts of what it is like to live with depression in young people. It has the potential to do this with many other diseases as well. The health website plans to launch one module at a time. Oregon Health & Science University is working on a module to help veterans with traumatic brain injury. The transcribed interviews were analyzed using methods created at Oxford to reduce subjectivity and find major themes. These topics include, “how depression feels,” “signs and symptoms of depression,” and “depression and eating disorders.” But instead of taking the approach of the health professional, these topics are discussed from the patient perspective. This website has the potential to reach and help many people who are struggling with various diseases, including traumatic brain injury. We did our first webpage on brain injury stories in 1997, with http://waiting.com Our comprehensive update to that site is http://tbivoices.com We hope that your look at the stories of brain injury for hope and depth of understanding. View our interview with one of the leaders of the project here.